Los Angeles may be well known for the Hollywood Sign and seriously awful traffic. But those of us who call L.A. home also know it is full of amazing outdoor places for families to play and explore year round. 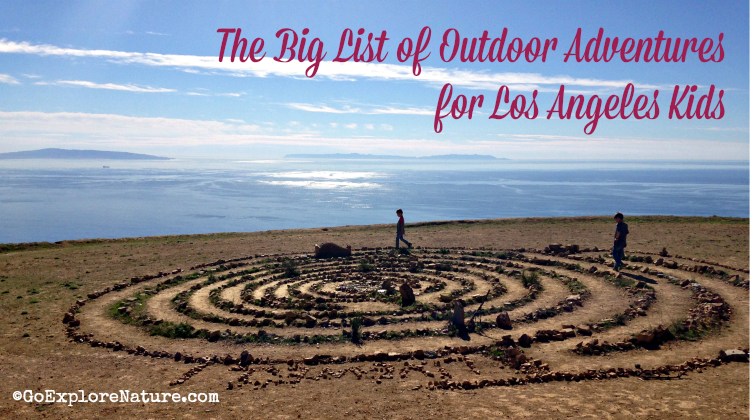 This big list of outdoor adventures for Los Angeles kids is a great place to get some inspiration. No more excuses for not being able to find somewhere to explore nature in the city! Visit a wildlife rescue center in the heart of Culver City. Take a short hike to a 30-foot waterfall at Monrovia Canyon Park. Play in the children’s garden at South Coast Botanic Garden. See not one, not two, but THREE T-Rexes at the Natural History Museum of Los Angeles County. Check out scientists at work uncovering fossils in the La Brea Tar Pits. Visit San Pedro’s marine life at the tide pools and aquarium. Explore the pint-sized trails at Hopkins Wilderness Park. Ride a Ferris wheel on a pier at Santa Monica State Beach. Join a guided, family-friendly bird watching tour at Malibu Lagoon State Beach. Eat with your feet in the sand on the beach at Paradise Cove. Stroll through the gardens at the Getty Center. Look for turtles at El Dorado Nature Center. Walk with the peacocks at The Arboretum. Take a walk on the wild side at the Los Angeles Zoo. Discover fossils, explore caves and climb on sandstone boulders at Red Rock Canyon Park. Go tide pooling at the most picturesque beach in Los Angeles. Spend a night out under the stars camping at Leo Carrillo State Park. 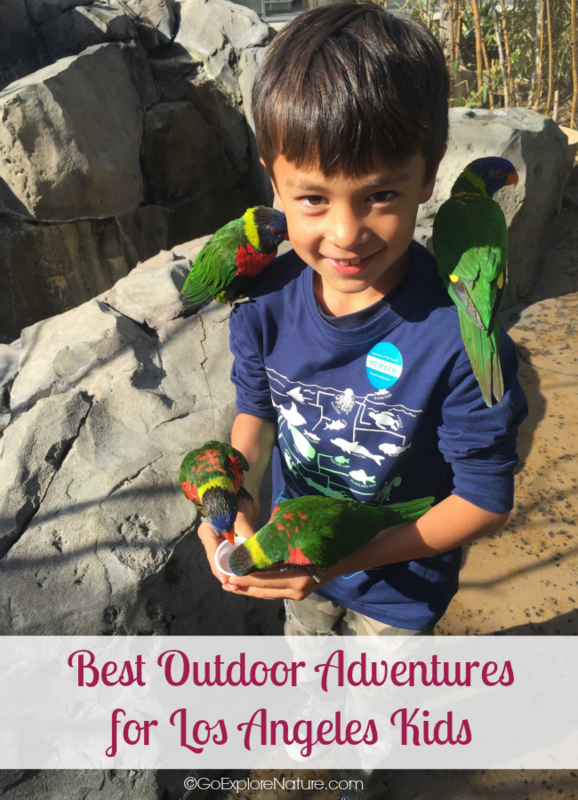 Feed lorikeets at the Aquarium of the Pacific. Bike ride to the beach along the Ballona Creek Trail. Get up close and personal with the Space Shuttle Endeavor at the California Science Center. Check out the California natives at Rancho Santa Ana Botanic Garden. See live redwoods at Franklin Canyon Park. Explore a nature playground, hit the trails & learn about birds at the Audubon Center at Debs Park. Learn about the sun, stars & planets at the Griffith Observatory. Get an introduction to L.A.’s own national park at King Gillette Ranch. Discover marsh wildlife at the Ballona Wetlands. Hike to the “bat caves” at Griffith Park. 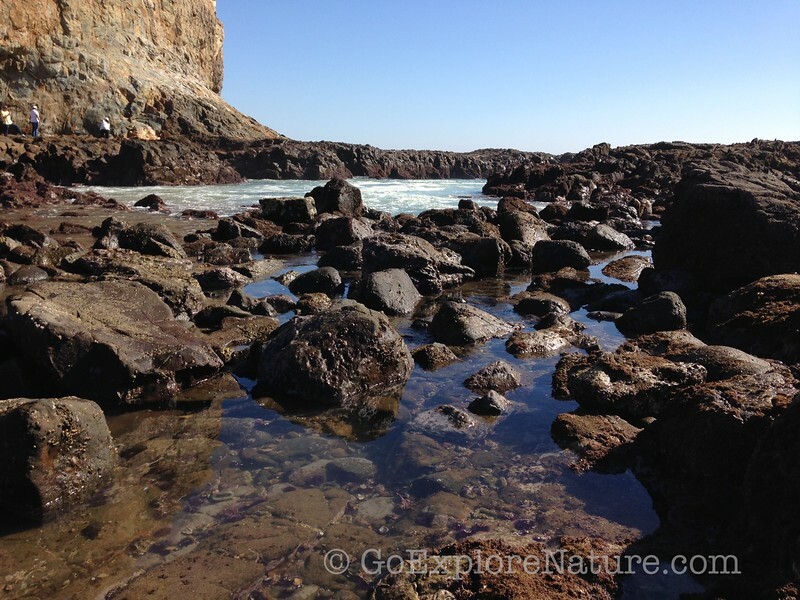 Explore tide pool wonders at Leo Carrillo State Park. Go horseback riding with a view of the Pacific at Will Rogers State Historic Park. Stroll through a camellia forest at Descanso Gardens. Walk through a stone labyrinth at Tuna Canyon Park. Play, hike, bird watch & more at Kenneth Hahn State Recreation Area. Roam through L.A.’s own Venice Canals. Picnic and play at the Old Zoo at Griffith Park. Stop in for a stroll through the Wildlife Learning Center. See a Sunday shark feeding at the Santa Monica Pier Aquarium. Scout for whales from the shore at Point Dume in Malibu. Pick oranges on one of the few remaining working groves at Heritage Park. Head out to sea & go whale watching. Explore tide pool life at Abalone Cove in Rancho Palos Verdes. Stroll among the poppies at the Antelope Valley California Poppy Reserve. Participate in the annual Caterpillar Adoption Days at Kidspace Children’s Museum. 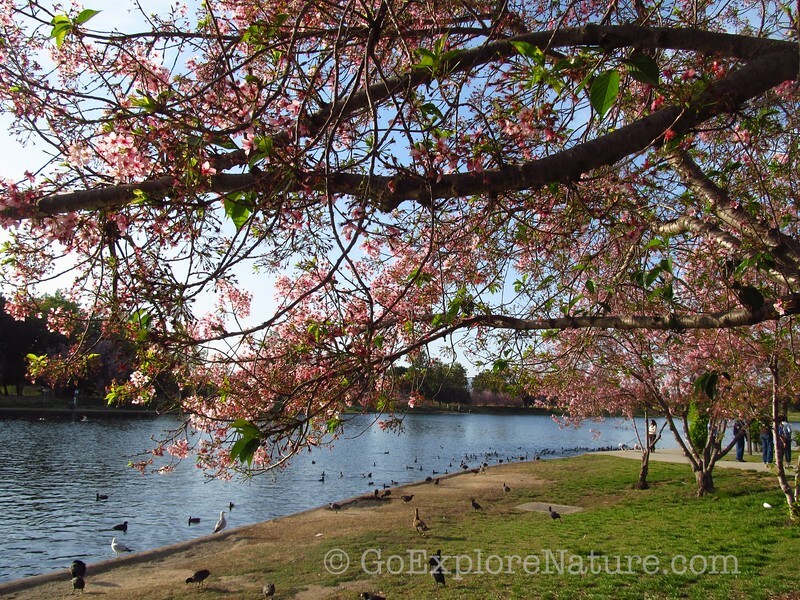 See the cherry blossoms at Lake Balboa. Splash and play at Mother’s Beach. Go kayaking on the Los Angeles River. Munch on raspberries right off the vine at Underwood Family Farms. Stay cool as you meander through the outdoor Ferndale Nature Museum. Hear live music or watch a play under the trees at the Will Geer Theatricum Botanicum. 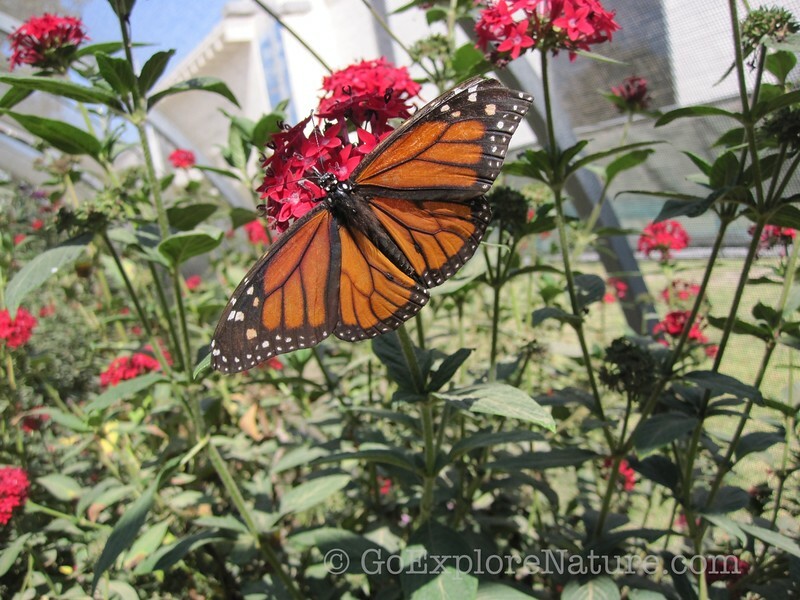 See butterflies galore at the annual Butterfly Pavilion at the Natural History Museum of Los Angeles County. 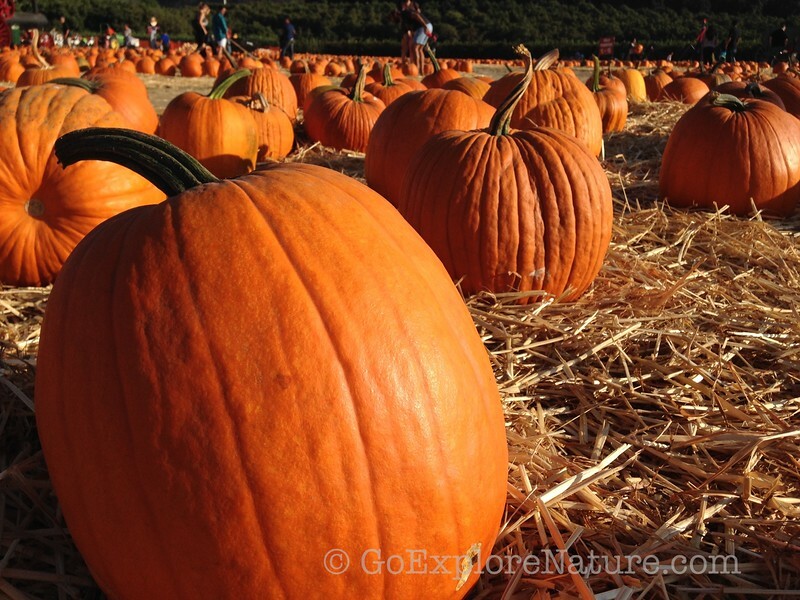 Go apple picking at Los Rios Rancho in Oak Glen. Get up close and personal with spiders at the Natural History Museum of Los Angeles County’s annual Spider Pavilion. Navigate your way through a corn maze at Underwood Family Farms’ Fall Harvest Festival. Enjoy holiday lights at the annual LA Zoo Lights event. See live reindeer in the city. Take a train ride to a Christmas Tree Farm and cut down your own. Ice skate outside right in the city. 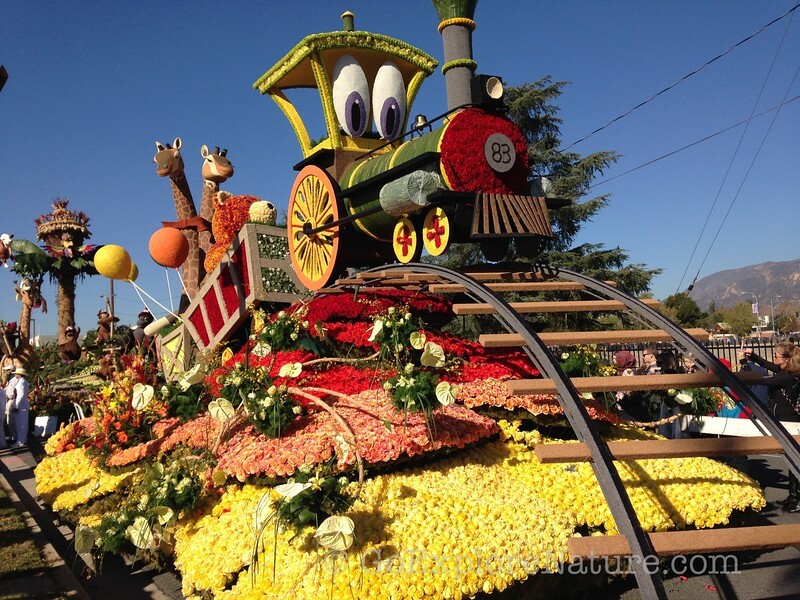 Get up close and personal with the Rose Parade floats. For even more ideas for outdoor family fun in Los Angeles, don’t miss our Favorite Places to Explore Nature in Los Angeles. Really well done, this is an amazing list, will bookmark it so I can see what you add to it! Or rather, sister-in-law… their kids will thank you for this post. Hey, my brother and sister are moving to the LA area next week. Perfect timing!! I&#39;ll pass this along. We haven&#39;t made our way to Angeles National Forest yet, but I read great things about it. We all love the forest, too, so I hope we get there soon. Glad you like the list. I know at least the kids in MY house won&#39;t be surfing the net all day – I can only hope the same for the rest of our youth. Summer&#39;s almost here and kids would definitely be itching to go around and have some fun. These are awesome tips! Let&#39;s just hope the children won&#39;t prefer to stay at home and surf the net all day huh? Thank you for this. Brought back a lot of good memories and reminders of even more new things to try. I really appreciate your blog. Your list brought back a lot of great memories! Such diverse nature goodness to be had! Ah. California!